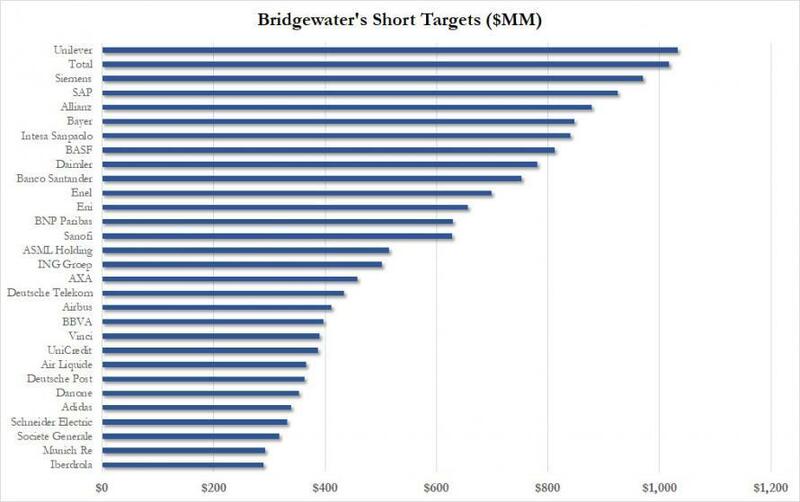 Early in 2018, we detailed Bridgewater's massive short bet against Europe, peaking at a record total short against the EU's biggest companies of around $22 billion. At the time we noted that, since Bridgewater is not known for picking individual stocks, the manager’s position was the result of a view on the wider economy according to James Helliwell, chief investment strategist of the Lex van Dam Trading Academy. At the time, traders told Reuters that the bets could be because Bridgewater is either expecting the stock market to fall or they are a play on the broader macroeconomic environment - hurting companies with large business exposures in the United States. 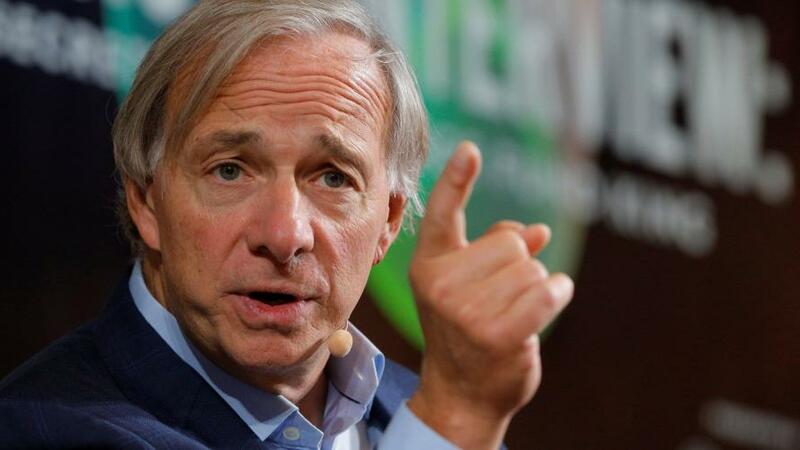 A month later, following substantial defensive commentary by European politicians and asset managers who warned that Dalio will be proven wrong on his bearish take of Europe (so far he has been spot on), the head of investment research at Bridgewater, had had enough, and said the perception of the firm’s recent wagers against certain European equities is all wrong. Al lof which was not entirely surprising, since if Ray Dalio has demonstrated anything this year, it has been a tremendous ability to flip-flop on strong positions, first mocking cash holders just as the market hit all time highs, saying they would "feel pretty stupid" only to recant two weeks later after the biggest market crash in years, stating in a blog post that "everything changed." The investment firm has gained about 4% in its Pure Alpha fund in the first four months of this year after a 1% loss last month, the person said, asking not to be identified because the information is private. Hedge funds on average returned about 0.3 percent during the first four months of 2018, according to Eurekahedge. However, the big news was that, separately, Bridgewater’s disclosed shorts against European stocks have now declined by a massive 80% from February to just over $4 billion, according to data compiled by Bloomberg. So, the head of research claimed the $22 billion European short was not what you thought it was and now it has been, for all intent and purpose, fully unwound. Bloomberg notes that a spokeswoman for Westport, Connecticut-based Bridgewater declined to comment. The last 11 disclosures in Europe by Bridgewater have shown the firm is reducing some of its bearish wagers. Three of those stocks were Intesa Sanpaolo SpA, UniCredit SpA and Telefonica SA, which have all seen their share prices rise this year. The Euro Stoxx 50 Index has gained about 2 percent in dollar terms this year, including reinvested dividends, meaning short wagers have not been a profitable trade. Additionally, Bloomberg reports that the fund made money trading developed-market currencies and rates trading in April, while losing money on its equities and emerging-market currency bets, a second person said. Will Mr. Dalio be "feeling pretty stupid" this time next month? Or did the manager of the world's largest hedge fund just signal that it's all over?